Fellow writers, loyal readers, friends and family turned up in droves at a Ho Chi Minh City restaurant called Huong Xua yesterday to celebrate the 81st birthday of the prominent and prolific writer Son Nam. 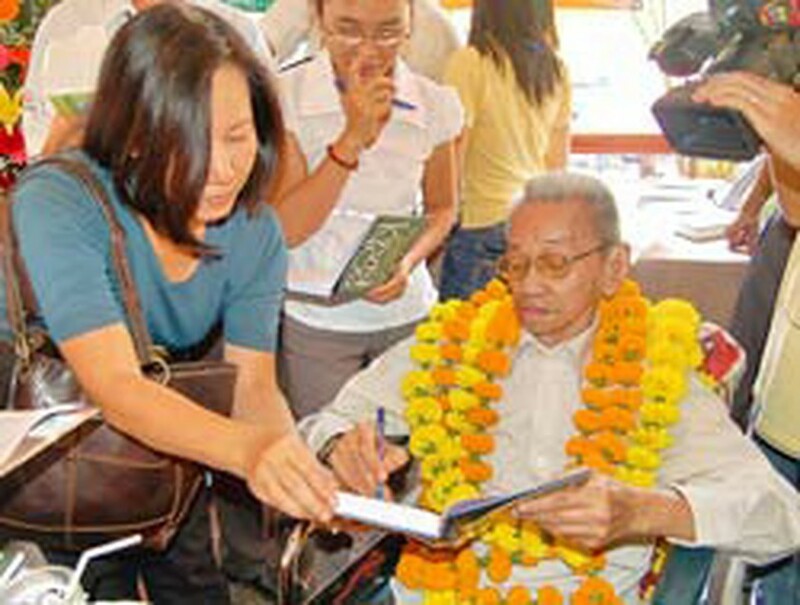 Writer Son Nam signs autographs for readers. The great man himself was there, warmly welcoming everyone who came to pay homage and wearing a beaming smile throughout. Son Nam might have been sitting in a wheelchair no thanks to a road accident in 2005 that left him in poor health but his innate humor, which they say is a characteristic of southern people, never deserted him. 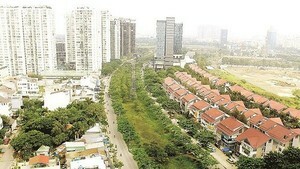 The shindig was arranged by the Ho Chi Minh City Writers Association and Youth Publishing House. The association’s chairman, fellow writer Le Van Thao, was full of praise for the guest of honor. “Son Nam is one of the south’s greatest writers. His extraordinary success spans everything from short stories and newspaper articles to scholarly research,” Mr. Thao told the assembled guests. Youth Publishing House has brought out three reprints of Son Nam’s work for the occasion: Chuyen xua tich cu (historical stories), Goc cay, cuc da va ngoi sao (foot of a tree, stone and star) and Danh thang mien Nam (beautiful scenery of the south). It has also compiled all his newspaper articles and bound them into one volume, and all the publisher’s bookstores across Viet Nam are paying tribute by having a Son Nam Week from December 10 to 17.